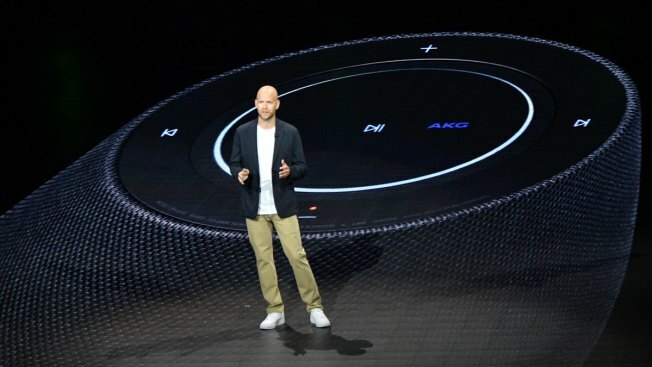 Spotify CEO Daniel Ek speaks onstage during Samsung Unpacked New York City at Barclays Center on August 9, 2018 in Brooklyn City. Music streaming service Spotify is buying podcast companies Gimlet and Anchor as it looks to take on Apple's popular iTunes' podcasting platform. Spotify founder and CEO Daniel Ek said in a blog post Wednesday that Spotify has become the second-biggest podcasting platform in a little less than two years. Nick Quah of Hot Pod, a newsletter that covers the podcast industry, said in an email to subscribers that the deals help Spotify branch out from music and differentiate its product. Quah also anticipates Spotify may try to monetize podcasts in the same way that it's struck deal with musical acts to upload their music directly and automatically receive royalty payouts. Shares of Spotify Technology SA tumbled more than 5 percent before the market open on Wednesday.